Complete psychometrics are available in: McEwan, B., Fletcher, J., Eden, J., & Sumner, E. (2014). 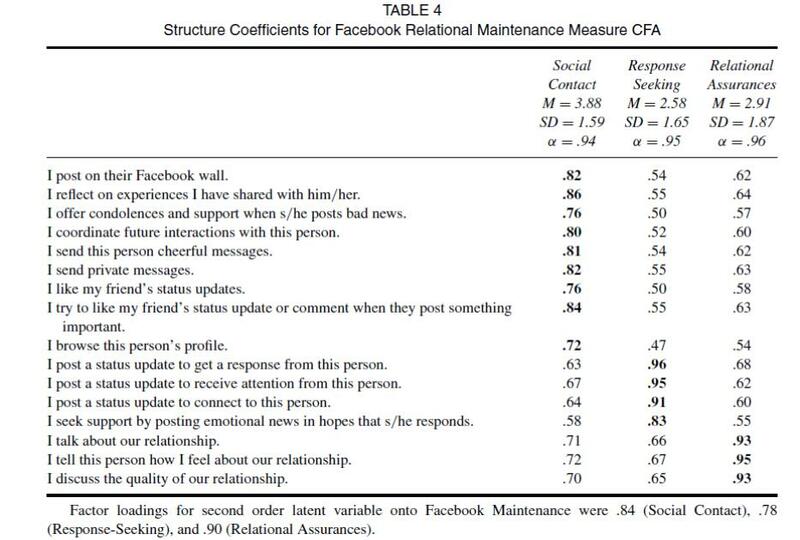 Development and Validation of a Facebook Relational Maintenance Measure. Communication Methods and Measures, 8, ​244-263.